I’ve converted a beautiful 1-1/2” (38mm) diameter vintage Sky Blue pressed glass button with a silver dragonfly into a pendant by wrapping it with a silver filigree. 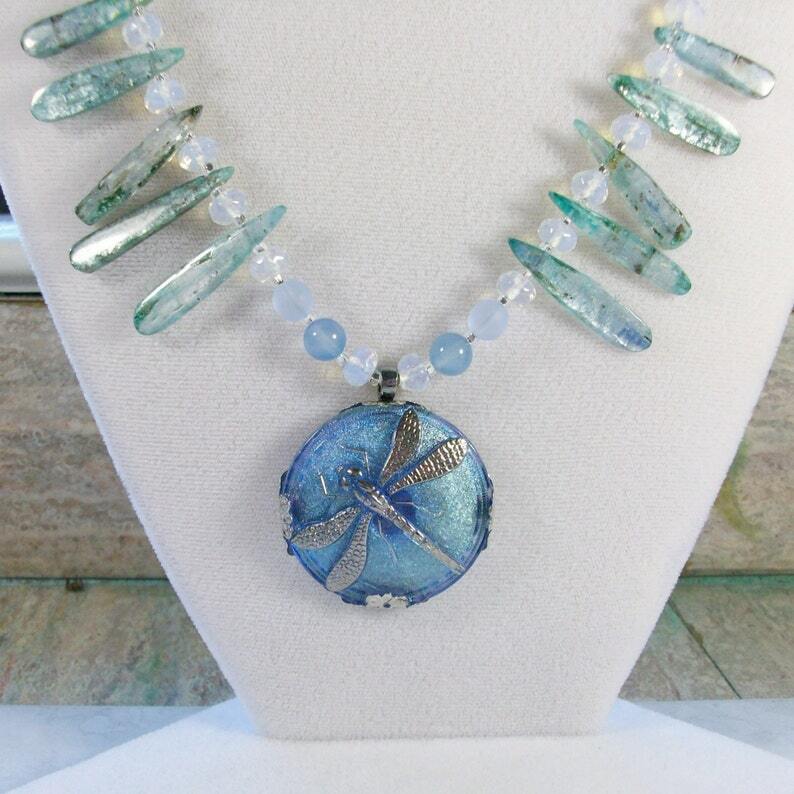 This pendant is framed alternately with 8mm cool blue Chalcedony, matte blue Sea Glass, faceted Opalite and delicate 35mm Kyanite dragonfly wings and accented with silver Dragonflies, sparkling glass moon and stars and Scottie Fairies. The 24” (610mm) long necklace closes in back with a lovely sterling silver hook clasp. A celebration of the water and air signs.